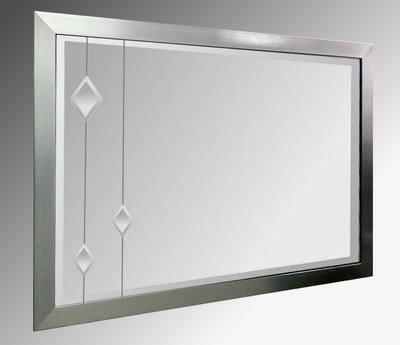 Leaded clear diamonds 36X24 bevelled pewter brushed framed mirror. 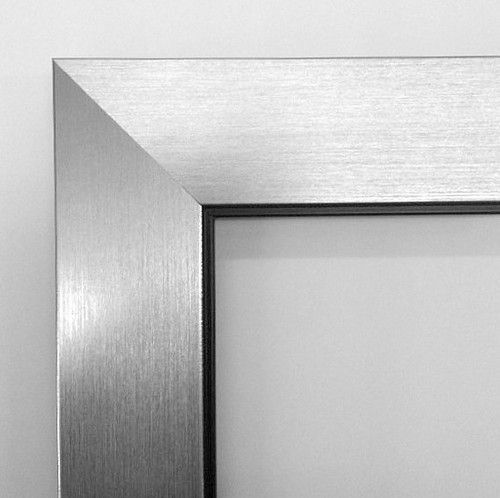 Leaded clear diamonds 36X24 bevelled mirror in a brushed pewter flat profile frame. A striking design that features two strips of lead with varying sizes of bevelled glass diamond shapes that catch and reflect the light. Also available with black diamonds design and alternative frames or even unframed.